“Let’s check the scoreboard. How many Native Americans were killed by the arrival of the white man through disease and war…how many people have died since the white man arrived due to lung cancer, thanks to the Indian custom of smoking? Who are the real killers here?…Where are our reparations? 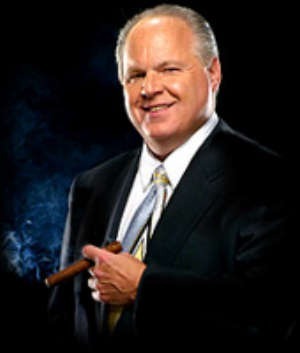 I’m just saying.” —America’s last true patriot, Rush Limbaugh.